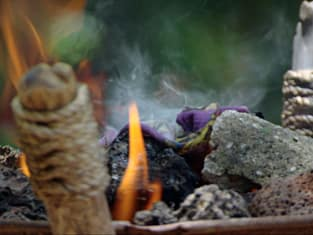 The return of Matt to the game and the merging of the tribes did nothing to improve the survivors collective intelligence. Boston Rob continues to rule the game and dominate our discussions. His surprise move this week to oust Matt (again) heads our debate. Did it makes sense for the Ometepes not named Rob to get rid of Matt? Kyle Kalember: I think it did. They still have the numbers advantage - six to five - and now they can plan to eliminate the Zapateras one by one without Matt flip-flopping back and forth. Andrea was right in her assessment of Matt's game - he just wasn't acting right and was too unpredictable. He basically wrote his own death sentence with the way he played since the merge. Dan Forcella: Probably not. But since it was what Rob wanted to do, it got done. Hey if the Red Sox continue to lose every game this season, Boston has to get its success through Boston Rob this year. Jane Murray: Aside from Andrea, I don't think it mattered to them. They still have the numbers and voting out Matt reduced the risk of him and Andrea deciding to flip. It is amazing how much trust they all put in Rob. Luke Dwyer: That depends on their plan once the ex-Zapateras have been eliminated. If the former Ometepes are willing to just pick off the five remaining Zapateras and deal with their six when the time comes, then it was a mistake. They'll need all the bodies they can to oust Boston Rob. What should Zapatera's sales pitch to Matt have been? Kyle: They did the absolute best pitch they could. How much more could they offer besides agreeing to give him the hidden immunity? Matt was even coming up with a way to get Rob voted off - all he needed to do was stay sane, don't tell Rob anything, pretend he was loyal and then cast his vote with Andrea. Simple. Matt also would have needed one of those Staples easy buttons to replace his Bible button, but that's another story. Dan: Their sales pitch should have been that God wants him to side with them. If they could have convinced him of that, then it would have happened. Jane: It wasn't a bad pitch, but it should have been more solid. Mike should have said me, Steve (or insert other Zapatera member), Matt and Andrea - that's the final four. He also should have made a bigger deal out of Rob sending Matt to RI earlier in the game and made Matt question Rob's loyalty. Matt is a head case and needed to talk through a lot of big issues, Mike should have recognized that and given Matt a bit more guidance. Luke: As I said in my review, I don't know why they didn't just give him the immunity idol as a show of good faith. Sure, it might have backfired, but if you're going to tell him that you have it and he's not going to work with you, figuring out who to save is a one-in-five guessing game anyway at that point. Considering the odds, even if Matt walks with the idol it is worth it to try. Would Matt still be playing if he kept his mouth shut about his idea to get rid of Rob? Kyle: Probably looking at around 80/20. There is the possibility that Rob would have gotten him anyway, but the only reason it worked (I think) was because Andrea went along due to Matt's actions. I don't think Matt would have gone home without the screw ups he committed because Andrea would have been on his side. Dan: Yes. Rob seemed fine with getting rid of the Zapateras until he only had Ometepes left. Then he would have gotten rid of Matt. Telling the King Bee that you had a perfect plan to get rid of him? Not smart. Jane: If he told Rob that Zapatera approached him but never said that he was considering it, Matt would still be in the game. Instead, Matt couldn't keep quiet, even though Andrea told him to do so, and told Rob that he had it all planned out to get rid of him. Stupid. Luke: Initially, yes, but I wonder if Zapatera's constant attempts to get Matt to their side would have worried Boston Rob and the ex-Ometepe's enough to the point where they'd realize the best move is to simply get rid of Matt and then deal with Zapatera. 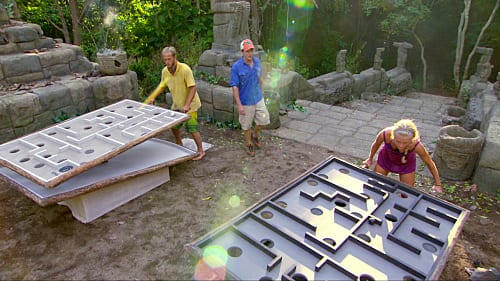 Are you ready for another Redemption Island run or would you have been fine with it being over? Kyle: Sign me up. It obviously could be lame and not work out, but this has the possibility to be a really cool "drop in an extra person near the end" and really make these players work for that million. Now they all have to plan for any and all contingencies. I think it will be fun. Dan: If you have a gimmick, stick with it. Although highly unlikely, I really want Matt to run the table once again, and get double redemption on Boston Rob. Jane: In general I'm done with Redemption Island. However, this next one could possibly be the most interesting of them all. If Mike doesn't win individual immunity, he's going to Redemption Island. Mike vs. Matt will be a good match up. Luke: I'm sorry, it's just not doing it for me. Matt coming back and being immediately sent back to Redemption Island didn't help anything. Give us your prediction on the final three. Kyle: I'm never right with these so I'll say Rob, Grant and Phillip (brought because everyone knew he wouldn't win). The only one I'm sort of confident on is Phillip. He is the perfect choice to bring to the end. Dan: Grant, Steve, Andrea. I like Grant to win it all. Jane: Rob, Philip and Andrea. Luke: Rob, Philip and David. Boston Rob has to keep groups separated, so once his alliance become too chummy he'll turn on them. He can keep David around because he doesn't really have friends with the ex-Zapateras; their alliance is one of convenience. Philip's inclusion is obvious. He'll never get votes, so he's almost a lock at this point.